The 12th Man Foundation announced that Dorothy and Artie R. McFerrin ’65 were the recipients of the 2015 E. King Gill Award on October 17, 2015. The McFerrins were recognized for the prestigious award at halftime of the Texas A&M-Western Carolina football game on November 14, 2015 at Kyle Field. Note: The article below appeared in the August 31, 2013 issue of 12th Man Magazine recognizing the McFerrins for their support as founding donors for the redevelopment of Kyle Field. Artie served as the chair of the 12th Man Foundation Board of Trustees in 2013 and as chair of the Department of Chemical Engineering’s Advisory Council. He is a Distinguished Alumnus of Texas A&M and has held numerous positions across campus and received countless awards from Texas A&M over the years. Dorothy and Artie have generously made possible athletics facilities such as the McFerrin Athletic Center, the Cox-McFerrin Center for Aggie Basketball and the Watts Cross Country Course and are founding donors for the redevelopment of Kyle Field. They have contributed to every capital project the 12th Man Foundation has undertaken. 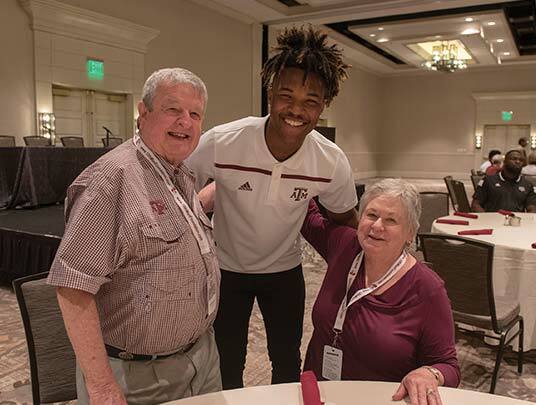 In the spirit of E. King Gill, Dorothy and Artie continue to support Aggie Athletics and inspire others to do the same through their exemplary service and leadership. 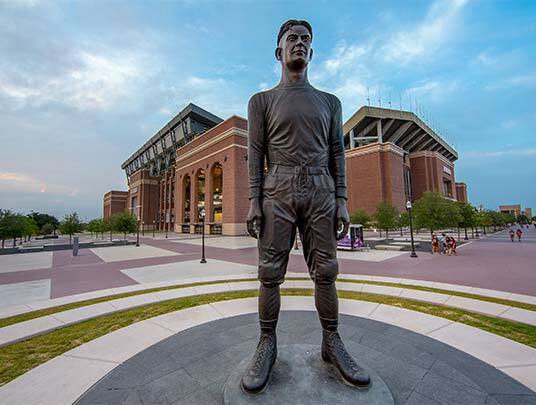 Thanks in large part to the continuing generosity of Artie and Dorothy McFerrin, Texas A&M’s athletic department and the 12th Man Foundation have spent almost a decade funding, building and assembling key facility pieces to an elaborate championship puzzle. The McFerrins have contributed seven-figure gifts in support of numerous athletic facilities, such as the McFerrin Indoor Athletic Center, the Cox-McFerrin Center for Aggie Basketball, the Bill Byrne Student-Athlete Center at Olsen Field at Blue Bell Park and the R.C. Slocum Nutrition Center. Since 2005, the McFerrins have contributed roughly $25 million to A&M athletic projects. Overall, Artie and Dorothy have donated more than $40 million to Texas A&M for education initiatives, the chemical engineering department and athletics. From an athletics standpoint, Artie McFerrin views all of the previous donations he’s made and the facilities that have been constructed as a result of those gifts as the border—or the edge pieces—of a monstrous and magnificent jigsaw puzzle. 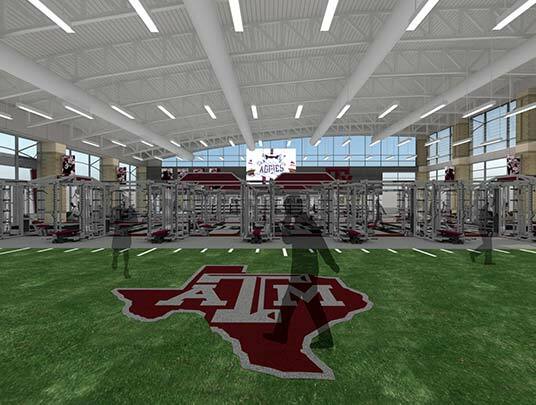 Other interior pieces have also been added over time, leaving one major hole to complete a masterpiece of top-flight facilities that could propel A&M into an elite status among all major athletic departments across the country. According to McFerrin, the $450 million redevelopment of Kyle Field is a game-changer for A&M athletics nationally. And in typical fashion, Artie and Dorothy stepped forward again to provide one of the lead gifts for the facility by purchasing the rights to one of the Founders Suites on the west side of Kyle Field. “We’re very excited about the project,” said Artie McFerrin, who is No. 1 on the 12th Man Foundation’s Priority Points listing. “We believe this is the final piece. We’ve been building the facilities we need to compete, and the stadium is going to be our financial future. With the SEC Network starting up, with so many games on television and with the high-definition technology of those televisions, we really need to give people a great experience when they come to the stadium. With the new stadium and all the amenities, we will provide fans a number of reasons to continue coming to Kyle Field as opposed to staying home to watch a game on TV. McFerrin, who currently serves as the chairman of the 12th Man Foundation’s Board of Trustees, says he and Dorothy have long been inspired to make major capital donations in support of athletics because of the positive national publicity that outstanding sports programs can bring to Texas A&M University. Successful sports teams can generate a tremendous amount of exposure for the entire university, which was certainly the case last year. On Jan. 18, 2013, for example, A&M officials announced that the end of the Aggies’ 2012 football season—the school’s first in the SEC and one that culminated in Johnny Manziel winning the Heisman Trophy and A&M trouncing Oklahoma in the Cotton Bowl—translated into $37 million in media exposure. Likewise, success on the athletic fields can inspire young students to pursue becoming a full-time student at a particular university. That was the case with Artie McFerrin. In mid-November 1955, McFerrin attended his first major college football game. McFerrin, then a seventh-grader, made a bus trip from his home in Beaumont to Houston’s Rice Stadium as part of a school-sponsored field trip. He entered the stadium with no allegiances to either school. 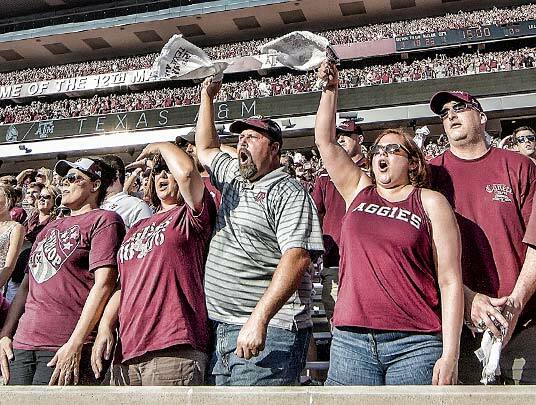 But after A&M rallied for three touchdowns in the final three minutes to secure a 20-12 win over Rice, McFerrin went home as a dyed-in-the-wool Aggie fan. “From that point forward, I started actively following the Aggies,” McFerrin recalled. 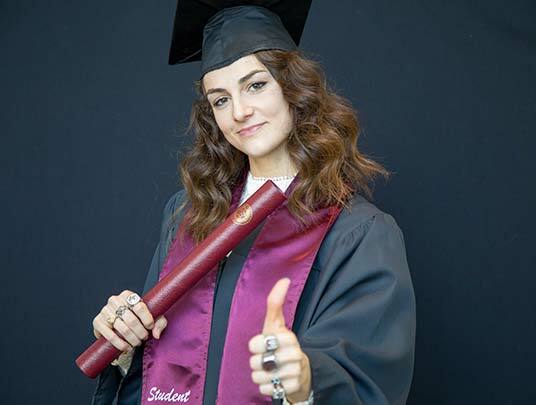 “Six years after I attended my first Aggie football game, I followed my heart to Aggieland and became a student at Texas A&M. McFerrin earned a degree in chemical engineering from A&M in May 1965, married Dorothy in 1966 and earned his graduate degree from A&M in 1967. He then accepted a job at Shell Oil in Deer Park, and the couple’s first child, son Jeffrey, was born in 1969. In need of some sort of employment, McFerrin took a sales job with Success Motivation International, Inc. (SMI), which was based in Waco. SMI was the first company to condense self-help books and record them on records and cassettes. The product line included courses and programs in leadership development, goal setting, attitude, management training and more. McFerrin spent nearly two years with the company, but he says he was such a lousy salesperson that he almost completely drained his personal savings. The programming paid off after he left SMI and first became an independent engineering consultant before opening his own company on Jan. 1, 1975 on a shoestring budget. He started plant production on March 15, 1975, and things began falling into place. Business was booming, but on Jan. 8, 1978, McFerrin’s plant burned down during the coldest winter in the history of Houston. McFerrin has continued to be a great student of success, and he recently completed writing his first book called, The Twelve Duties of a CEO. While he has continued his personal education throughout the years, McFerrin always credits A&M for helping to establish his personal foundation for long-term success. And he continues to be impressed with the high quality of students who are attracted to Texas A&M. “To me, Texas A&M is the best hope in the state and even in the country for the future,” McFerrin said. “A&M is a magnet for people with great values and high character. Like athletics attracts young people who want to win and excel, Texas A&M attracts young people who are generally goal-oriented and committed to making a difference. Dorothy and I have always been impressed with the young people who attend A&M, and I really think athletics is one of the primary ways Texas A&M is broadcast and publicized to the rest of the nation. "We believe this is the final piece. We’ve been building the facilities we need to compete, and the stadium is going to be our financial future. "